hold the keys to ending hunger for good. With CHECK OUT TO HELP OUT campaigns from coast to coast, Grand Giving can mobilize the supplies and resources needed to end hunger all across the country, one meal at at time. During the month of November, Chicagoans can support Grand Giving's mission to help solve the issue of food insecurity by shopping at any local Mariano's. 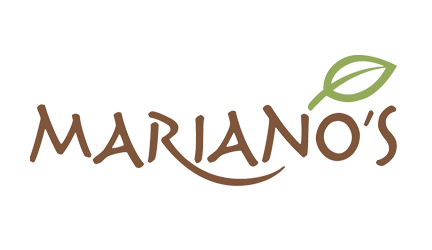 Add a Grand Giving donation in the amount of $1, $5, $10 or more at any Mariano's register during check-out to benefit our local partners at the Greater Chicago Food Depository and Northern Illinois Food Bank. Engage your own company and community with an in-store or online Check Out To Help Out campaign, to benefit Grand Giving, No Kid Hungry and local food banks in your neighborhood. Download our Partner Kit for access to all the supplies you need to get started.